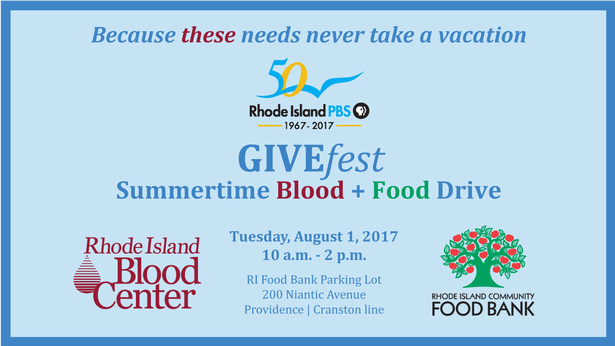 Rhode Island PBS, the Rhode Island Blood Center, and the Rhode Island Community Food Bank are proud to partner again this year to create a special summertime giving opportunity – GIVEfest – our Summertime Blood + Food Drive to enable us all to better serve the community. With two ways to give, please come donate a pint of blood and bring a non-perishable food item. And even if you can’t give blood, your food donation is most welcome! 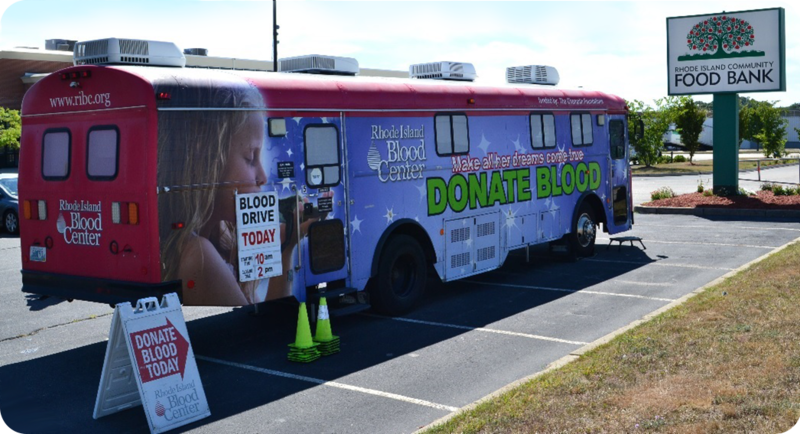 Since 1979, the Rhode Island Blood Center has supplied hospitals and patients - your neighbors, your family, your friends, maybe even you - in Rhode Island and nearby Massachusetts and Connecticut with lifesaving blood components. Over the years, much has changed in blood banking and transfusion medicine, but the fundamental concept of volunteer blood donors providing the gift of life for patients in need is as important as ever. We appreciate and welcome participation by employees of local establishments in the Cranston Business Park and in the greater Dupont Drive area, and encourage you to promote this event to your patrons and employees.